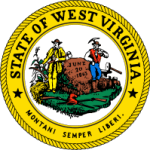 The state of West Virginia through the bureau of child support enforcement is mandated to ensure that the rights of children are taken into consideration when determining who should provide for child support. With both parents separated, there has to be an arrangement according to the set child support guidelines that identifies who should pay for child support. In most cases, it is the noncustodial parent who should pay for such support and if he or she stops paying, the other parent can report to the local child support offices for action. Step 2: Fill out the form with the details of the children that need support, the custodial and noncustodial parents. Step 3: Sign the document. Step 4: Fill in the affidavit with the relevant payments and sign it at the bottom. After you have delivered it, your complaint will be investigated before it is enforced.